The world doesn't move without productivity at the local level, where everyone is continually involved in commerce in one way or another - where the flow and velocity of products and services being exchanged through the local communities, and between other local economies, that determines the lifestyles. 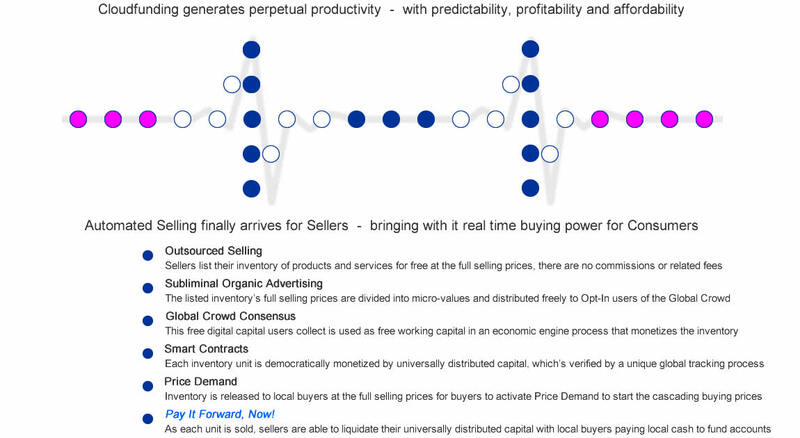 The focus for each local Chamber of Economies is to localize production, manufacturing and selling, first by drawing in direct foreign capital investment to monetize local inventory, then liquidate the universal trading currency into local cash, hence raising the velocity of local capital and productivity. 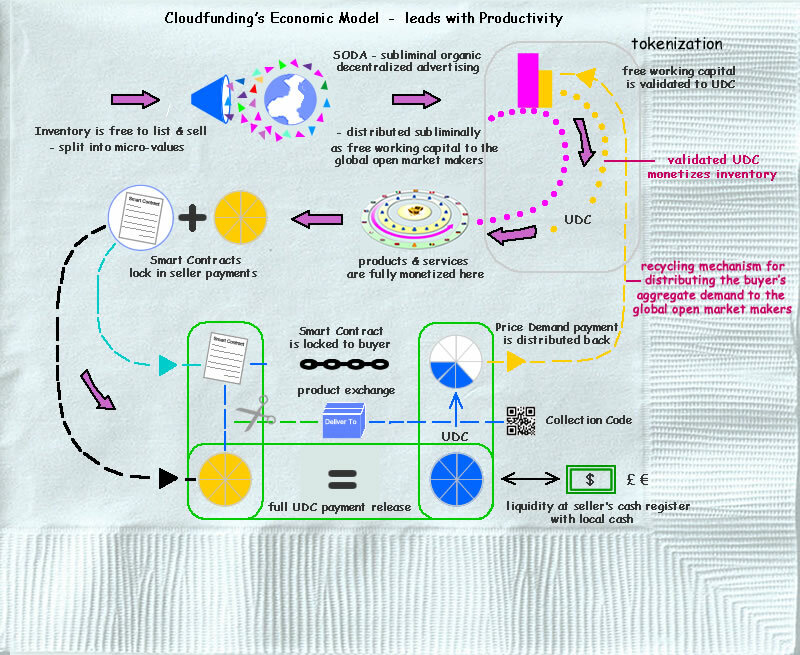 Cloudfunding doesn't create money, it digitally aligns with local currencies already in local economies and perpetually redistributes it using technology that stimulates the flow of economic value in local economies through a decentralized and democratic consensus using Productivity as the leading catalyst - with the end focus of increasing the economic growth in those local economies. With increased productivity in one local economy, it inevitably spreads out to other economies that also draw in direct foreign digital capital to stimulate the local industries - this spread of trading capital moving from economy to economy through commerce is what gives e2eCommerce a far reaching benefit to local and national economies than all the manipulation that gets used through market trading, currency trading, subsidies and tariffs. - it means that local Chamber of Economies, operating with Cloudfunding, can disrupt the status quo in commerce and trade by decentralizing the dominance that globalization has been allowed to develop to, at the cost of local economies, by re-balancing the influence at the local level.